A bathroom remodel will spruce up your home, but it's important to get the timing right. 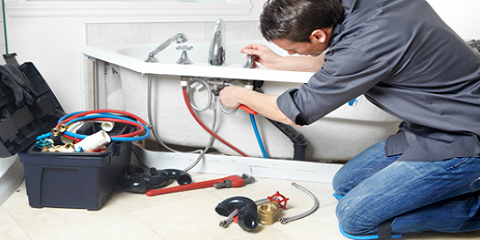 Serving the Wisconsin communities of Dousman, Eagle, and Genesee, Traditional Plumbing provides fixture repair, toilet repair, and water heater installation. These plumbing contractors say spring is a good season to schedule a bathroom remodel. Prepares Your Home For Summer Guests: Summer is a time when it's common to have guests over for cookouts, barbecues, and other gatherings. A bathroom remodel will make sure your home is ready for the additional traffic. Beginning the renovation in spring will allow you to have the work completed in time for the socially active summer season. Contractors Are Readily Available During The Spring: Plumbers and contractors tend to be heavily booked in the fall months leading up to the holidays, as homeowners rush to get their properties ready for the visitors arriving to celebrate the spirit of the season. Increased demand can boost prices during these months. Spring tends to be a quieter time, and you're likely to get better deals on pricing from residential contractors and plumbers. Ideal Weather: A bathroom remodel will go more smoothly if the weather is cooperative. It will be easier for plumbers and contractors to get to and from your property, and if work needs to be done outside, good weather will facilitate the process. Typically, spring weather is neither too cold nor too warm, and it provides a comfortable working environment for contractors. For a bathroom remodel you're sure to be happy with, choose the plumbing contractors at Traditional Plumbing. These plumbers have the experience to make your vision a reality when it comes to bathroom renovations, and their A+ rating from the Better Business Bureau is a testimony to their outstanding client care. Learn more by calling (262) 470-1228, or visit these Dousman plumbing contractors online.